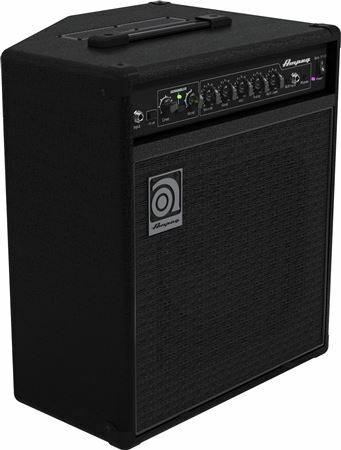 Shop Ampeg BA110 v2 Bass Combo Amplifier from AMS with 0% Interest Payment Plans and Free Shipping. 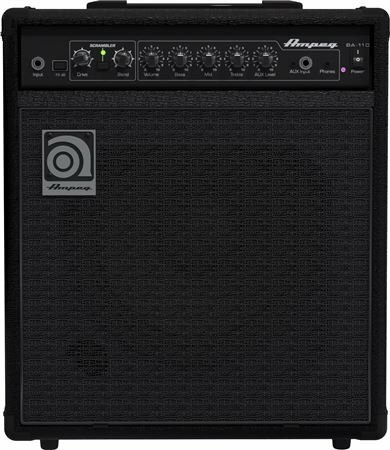 The Ampeg BA-110 10 inch Bass Combo delivers classic Ampeg tone and performance-driven features in a professional design perfect for practice or rehearsal. Featuring Ampeg’s Bass Scrambler overdrive, the BA-110 delivers grit and grind any bassist will love. 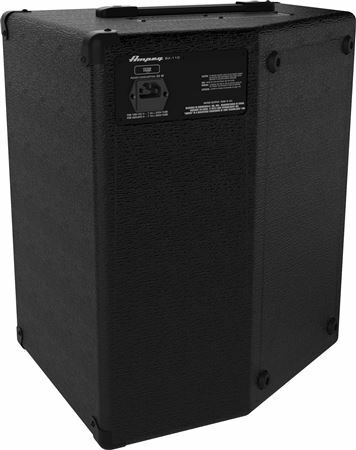 The BA-110 also features a true 60-degree sound reinforcement monitor angle that adds clarity in any situation. The front-facing panel is always accessible with great features like a headphone out /line in to practice silently with your mobile music device. 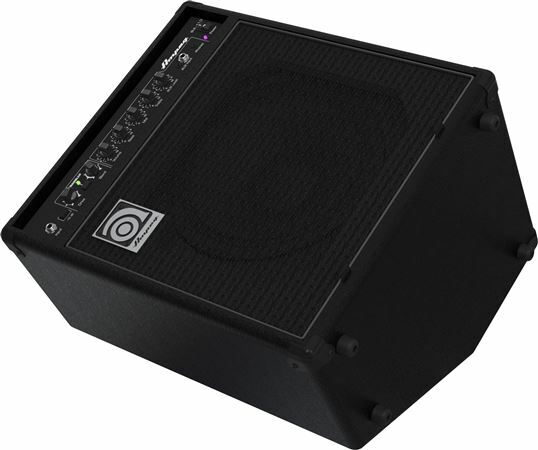 The ruggedly portable BA-110 combo features an all-steel amp chassis and protective metal corners for added durability. Amp puts out plenty of volume. This would likely work very well for small venue's. 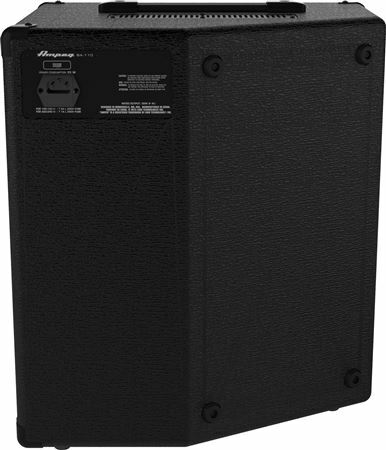 This is a great amplifier. It’s not too heavy, it has a rock-hard solid tone, even when turned up, and the Scrambler effect is very useful. 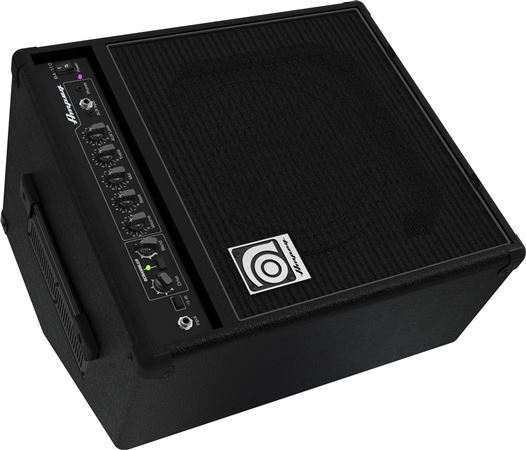 Overall a great item, something you’d expect Ampeg to make. I wanted something smaller than my Ampeg B2R and 15" cab for the practice room. My online search led me to check out the BA110. The reviews were generally favorable and so I ordered it from AMS. When it arrived two days later I was happy to find that it is loud enough for my needs and the EQ is flexible enough so I can tweak it to my liking. It's nice to tilt the cab so it points toward my ears when I'm sitting or standing. 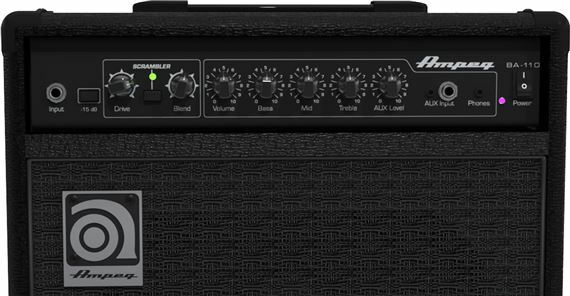 The AUX input + AUX level + phones jack make the amp more versatile for practice at home. The Scrambler circuit is a nice feature although I use just a touch on some tunes to add some "bite". All in all, (for me) it's a great combo for individual practice at home, practice with the whole band and maybe even a small coffee house acoustic type gig. GREAT AT HOME PRATICE AMP...A HORN WOULD'VE BEEN BETTER BUT OVER ALL GREAT COMBO..